﻿There is growing interest on the part of governments and citizens in matters related to health. Subjects such as urbanization, climate change, the ageing population and the growing inequalities in health and access to healthcare have led to a new awareness of the importance of territory and the geography of health. GeoHealth’2014 aims to create a multi-disciplinary platform for the debate of ideas and the presentation of the results of research in the area of health geography, extended to anyone interested in the subject of health from a geographic perspective. Thus, the decision was taken to organise reflection and debate around the subject of Health Geography at the crossroad of knowledges, organized into 7 strategic axes. 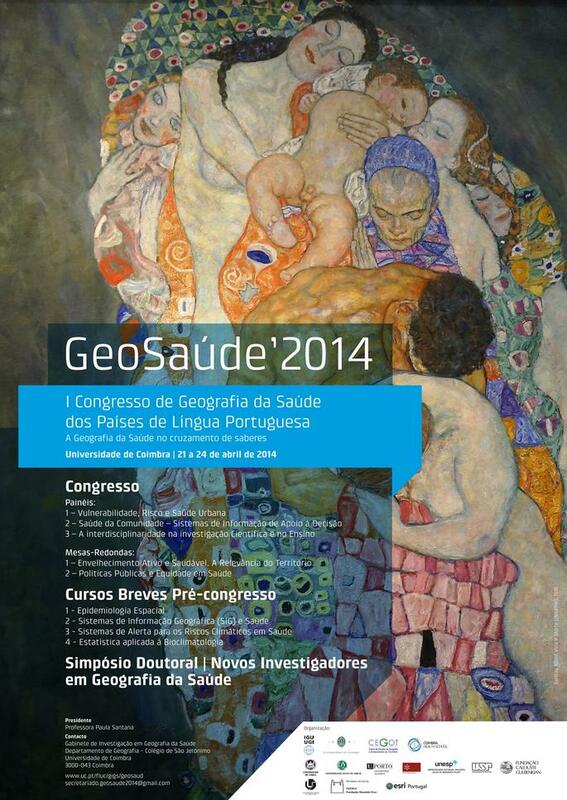 The ultimate purpose of GeoHealth’2014 is to stimulate, collate and divulge contributions from all areas of knowledge in order to reorient the health agenda, working towards a more modern and equitable vision of health gains in Portuguese-speaking countries. Thus, all researchers that have on-going or recently completed work in this domain are invited to submit their results in the form of oral papers or posters, indicating the strategic axis into which the study belongs.